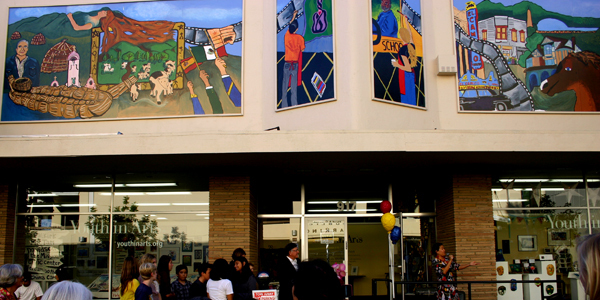 Youth in Arts and YIA Gallery are located at 917 C Street in downtown San Rafael. Regular hours are 11 a.m. – 4 p.m., Monday – Friday. While YIA Gallery and the Gallery store are open to the public during these hours, please call in advance if you are hoping to meet with a staff member. Youth in Arts is open late for 2nd Fridays Art Walk Downtown on the second Friday of each month. Affordable parking ($1 per hour) is located across the street at the 3rd & C Street public garage. Validated parking is available only when specified in an event description.